Urbix Resources’ President and Chairman Nico Cuevas, left, Chief Marketing Officer Adam Small and Chief Technology Officer Dr. Palash Gangopadhyay. 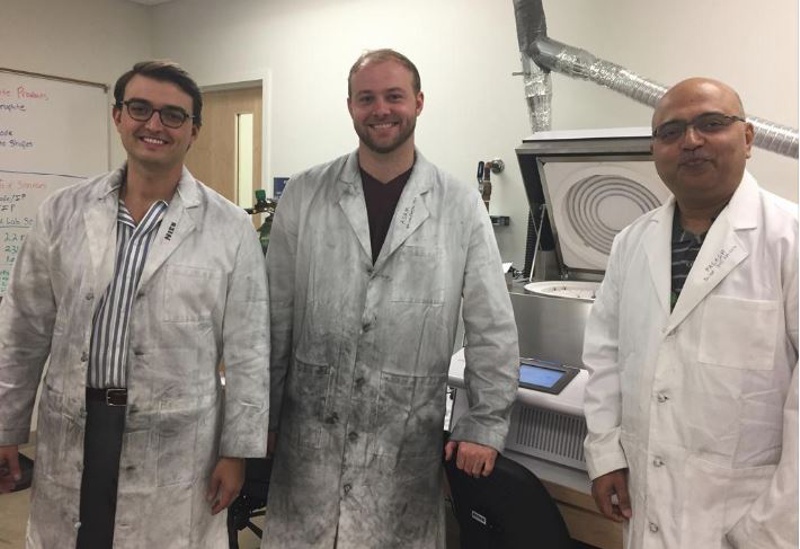 Urbix executives say they are the only ones using a proprietary method to purify graphite without using hydrofluoric acid or high temperature ovens, which is a more efficient and environmentally friendly method. Urbix has received a lot of interest from international players, and Cuevas expects to announce soon joint venture facilities around the world by mines or carbon refiners. Read the full Phoenix Business Journal article.